Since 1990, home-ownership patterns among 55 – 64-year old have substantially declined and experts predict this trend to continue over the next coming years. 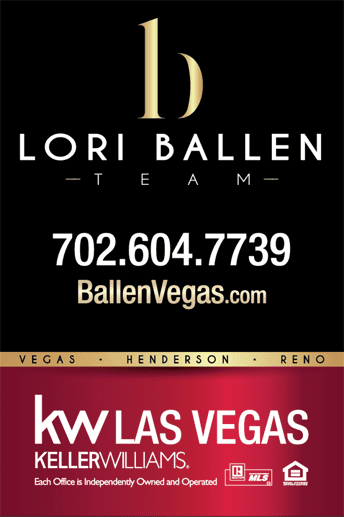 Why should seniors Live in Las Vegas? Owning a fully paid home in America’s cool and leafy suburbs is the ideal definition of the American dream. However, when it comes to retirement, this is far from the case. The main reason is due to the growth of Baby Boom age group, which is the largest living adult generation, well over the age of 53 in 2017. The report also state 30% of elderly renters use over 50% of their income to cater for their housing cost, which is above the national average. For seniors, those who own homes are in better financial position than renters in most cases. According to the study, the median senior American citizen over the age of 65 who owns their own home has enough wealth to afford about 42 months of care in a nursing home. On the other hand, the median renter over the age of 65 with no home ownership would not have enough wealth on hand to cater for even one month. According to RENTCafe, renters aged between 35 years to 59 years grew by 17% while those aged under 35 years featured the slowest increase rate of 7% in a decade. Likewise, the U.S. gained more new senior renting households in the past ten years than in either of the two younger renting age groups. According to RENTCafe, renters aged between 35 years to 59 years grew by 17% while those aged under 35 years featured the slowest increase rate of 7% in a decade. Likewise, the U.S. gained more new senior renting households in the past ten years than in either of the two younger renting age groups. Due to this decline in home ownership, the rate of the older renting households (43%) increased more than older owner households (31%). There is also clear visibility of the rapid growth of the 60+ population across owner households and between 2007 and 2017, the only increase in owner household was recorded by seniors over 60. There was a 19% decrease in owner household for those aged 34 and under and 12% decrease for those between 35 and 59 as well. RENTCafe also provides that this projection based on the 2007 and 2017 trend is not going anywhere. To the contrary, 2035 will feature a great demographic shift with the number of over 60 years renting households hitting 31%; thus becoming the second largest share among all age groups. Those aged between 35 years and 59 years will likely decrease in their share of renting households, dropping from 44% in 2017 to an estimated 43% in 2035, despite being the majority. However, the most significant decline is projected to take place among those aged 34 years and under, with their decrease from 34% to 27% by 2035. A report from the Harvard Joint Center for Housing Studies shows that Americans in their 50s and 60s contribute to the largest portion of the rental market increase due to population growth and high housing costs. The number of renters burdened by their housing costs hit 20.8 million, almost half of all households that rent. Between 2005 and 2014, the older American population has risen to 25%, but they are paying more than half of their pre-tax household income for rent and utilities has risen to 34%. The report also stated that about 30% of the elderly population who rent end up using more than half of their income on housing, which is more than the national average. The study showed that the older American seniors get, the more they result in a worse financial position as compared to their peers who were able to purchase homes. However, the median renter over the age of 65 years does not have enough wealth on hand to cover even one month of care. The study predicted that over the next 10 years, the general rental population in the U.S is set to climb by about 4 million people. According to National stats, the most drastic renting patterns began from retirees aged 55 years and older by 28% as compared to a 3% increase among renters who are 34 years and under. Against education, the top increases were viewed among renters with a Bachelor’s degree or higher by a whopping 23% and against types of families; families without any children under the age of 18 were up by 21%. This data shows the correlation between the empty nesters and the baby boomers. 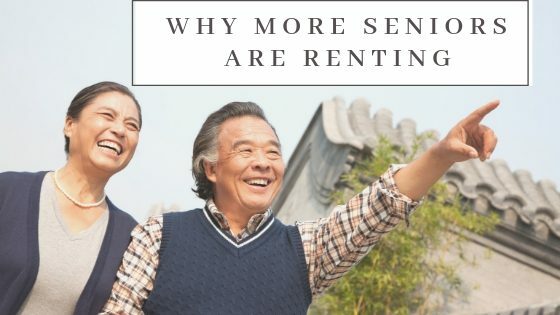 Whether it is for a lifestyle change or due to the 2007 housing crisis, senior Americans are definitely open to renting during their retirement. Home ownership is a major expense in any household at any age. It might be worth your while to think about renting versus owning once you are on retirement and living on a fixed income. Here are some of the reasons why the older American generation is renting. Regardless of the advice from real estate experts, homeowners know exactly how expensive owning a home is as compared to renting. From mortgage payments to property taxes and maintenance costs, retirees often cannot keep up with these demands. When opting to rent, you choose to pay the same monthly rent despite the heater breaking down and the roof leaking. The older American generation may not enjoy renting but it is surely an affordable alternative. The older generation enjoys moving up and about for various reasons. Whether it is to be close to your family or loved ones or simply for recreational purposes, renting allows you to do so easily. Once your lease ends, or if you end it prematurely by giving advance notice, you can freely move to wherever place you want without being inconvenienced. However, as a homeowner, it could be difficult to sell your home immediately when you want to move away. Furthermore, there are additional costs you may incur as you try to unload your home during retirement. Why not save yourself the hassle and unload it before you retire! Once the kids move out of the house and you are left all alone in a gigantic house, it feels lonely, even if you are two. The space is too big and there should be a number of things you do not need. Downsizing to a smaller place which caters to your needs is your next best option. Furthermore, you can get rid of the stairs if they have been a pain in your rear all these years! Retirees who opt to rent can move to an apartment with their preferred amenities, enabling them to live comfortably and independently for as long as possible. Some of the features to look out for are reliable laundry services, handles in the shower, and an apartment with a minimum amount of stairs. It is all depending on the retiree’s needs and preferences. Some senior housing communities allow retiree’s to live on their own until they can do so no longer and then offer personal care services which specifically cater to their needs. Whether it is independent living or assisted living and nursing homes, these services are offered to you as you become older. Similarly, some communities also offer social activities which allow the elderly to become socially active. Many retirees are yet to fully recover from the 2008 Great Recession and the collapse of home values. From personal experiences of how fast a home can be devalued, these retirees comprehend the up and down cycle that is the real estate market and they would not want to get caught up in another similar experience. When living in America, especially as a senior American, it is wonderful how you can freely move to any state depending on your dreams and aspirations. With simple options like taking a plane to a new destination and face timing your loved ones, American seniors have the liberty to completely shift and enjoy their golden age however they deem fit. Las Vegas, also known as Sin City, is a great place to settle as a senior citizen who wants to rent. About 30% of new settlers in Las Vegas are senior citizens who are joining an already existing elderly population. 17% of Clarke’s County population is 60 years and above. Furthermore, Las Vegas is one of the fastest growing cities in the country with about 1,000 people moving permanently to Las Vegas each week. 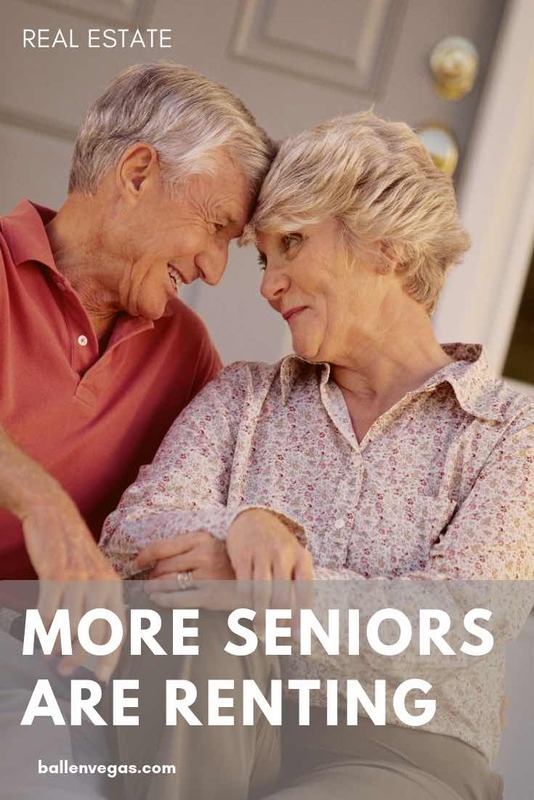 Las Vegas offers a wide array of reasons why seniors should live here. From age-restricted housing communities to year-round senior social activities and the low taxes, more senior Americans are falling in love with the idea of moving here. Similarly, the wild party city has a variety of age-friendly activities. Senior citizens may opt to scenic tours to the Grand Canyon or the Hoover Dam or maybe visit the Bellagio Gallery of Fine Art or even simply take a gambling tour. Las Vegas has some of the biggest casinos in the world as well as some of the most unique shopping malls and shopping experiences the world has to offer. Whatever the case may be, you are assured Las Vegas will deliver the fun and adventure. For such a major metro in America, the cost of living here is quite affordable. The current median rent for a one-bedroom apartment in the city is $910 and the city also has the lowest taxes in the nation. The 40 million tourists who flock the city annually fund most of the state’s necessities; from health facilities to roads and schools. These are just but a few reasons why senior Americans are moving to Las Vegas, NV. Las Vegas welcomes you to this piece of paradise. Some retirees are fond of the idea of living in their own home while others are attracted to the flexibility and convenience of renting. According to the Joint Center for Housing Studies of Harvard University, the number of senior renters in their early 1960s increased by 84% between 2006 and 2016, the most of any age group. While these changes reflect the aging of existing renting American citizens, one in eight homeowners of ages 65 to 74 years have decided to rent over the past two decades. The choice of owning or renting a home is yours. A home purchased during your younger years may no longer meet your needs in retirement. Perhaps it is larger than necessary, especially if your children have grown and moved out. Selling it can give you income to fully enjoy your life in retirement as you gain the freedom to live wherever you like.